By 2060, the world will have an additional 2.2 billion 40- to 79-year-olds, and the concept of retirement is becoming redundant as executives seek to continue working well into what is currently considered retirement age. “One day in my early fifties, I realised that my boss, our CFO, and I were approximately the same age and likely would retire at the same time” said Sola Oyinlola, at that time Vice President and Group Treasurer of Schlumberger and the only African corporate officer of this world leading French American oilfield services company. As many executives can testify, finding an equivalent level job to the one you left after age 50 is a challenge. The job market should not be, but is, very ageist. What can seasoned professionals do if they want to contribute their skills and experience to leave the world a better place? With long careers ahead to look forward to yet no predictable roadmap to discover these future jobs, older professionals need to learn how to develop new career options for themselves—a life-skill that will be vital going forward in our fast-changing world of work and society. 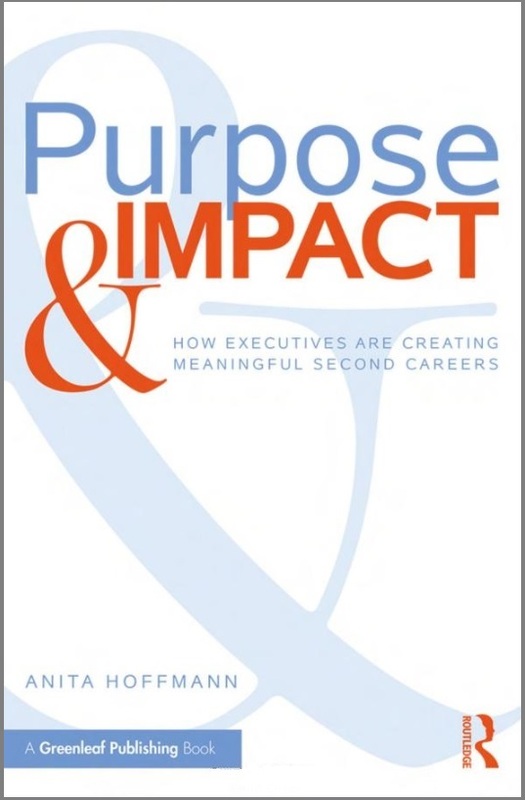 Purpose & Impact describes how to go on this learning journey, to become leaders that know how to affect change in society and in their organizations, and how to create new career options with purpose, for as long as they need or wish. The research shows, somewhat counterintuitively, that the best way to do this is to remain with the same organization and ‘job-craft’—adding purpose-driven projects to existing roles that fit with the company’s strategy. ‘Finding a calling, in our business roles’ as Professor Andrew Hoffman from the University of Michigan describes it. This way, experienced professionals can help their organizations change while creating good business, and advance social progress while learning how to create new careers. This is accomplished by engaging and developing Career Transformational Assets: self-knowledge, building strategic networks, and openness to new experiences. A certain amount of introspection is required, to understand which of our skills we would like to contribute to the world going forward, but the most important thing in career change is to get new input for our contemplation. We do this by experiencing new things and building new strategic networks—not by sitting in our offices. A certain amount of introspection is required, to understand which of our skills we would like to contribute to the world going forward, but the most important thing in career change is to get new input for our contemplation. 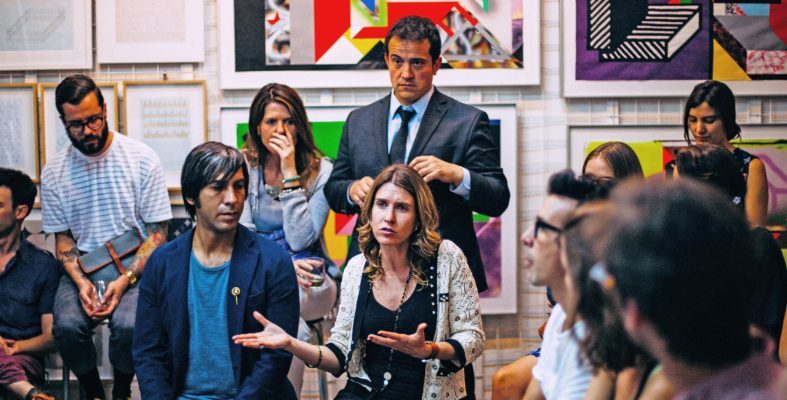 Universities and private education providers around the world are increasingly offering short or year-long courses for mid/later-career senior executives to encourage new thinking and engage in societal problem solving. As we hear in the book, Nina Skorupska discovered her route forward through her participation in Cambridge University’s Prince of Wales Business and Sustainability program. When leaving her senior executive position with the German power giant RWE, she knew she wanted to do something to advance sustainable communities, renewable energy, and women’s participation in STEM (Science, Technology, Engineering and Mathematics) education—but what? After completing the program and exploring further large corporate energy opportunities, she concluded the path was no longer for her. She became CEO for the nonprofit REA, the Renewable Energy Association in the UK, which represents many British renewable energy organizations and influences the country’s energy policy. She also became a board member of the WISE (Women in Science and Engineering) Campaign in her new career. Other people who volunteer on an ongoing basis—often via their organization’s employee engagement initiatives—find their inspiration this way, as did Gina Tesla, Vice President of Corporate Citizenship at IBM. In 2000 she decided to take a career break from her communications agency and joined the United States Peace Corps, working for two years as a community economic development volunteer in Panama. Upon her return, she joined IBM to scale its pro bono consulting initiative, the Corporate Service Corps (CSC). The program, facilitated by implementing organizations such as the nonprofit PYXERA Global, serves as a model to a growing number of corporations for its leadership development, social impact, and brand enhancing attributes, among others. Crucially, while exploring new topics, professionals build new cross-sector networks of people able to help affect large-scale impact in areas of interest—networks that are also the route to future career opportunities. The incredible pace of technological advancement in every sphere means there exist solutions to many previously intractable problems within society’s grasp—if we mobilize ourselves. The rise of Impact Coalitions, when numerous organizations partner across sectors to advance social goals, aims for large-scale mobilization to create and deliver solutions at scale on particular social and environmental issues. Thus, with business awakening to its role—as well as the potential for profitable business opportunities—and solutions becoming available, this really is the right moment to create a purpose-driven career. Find out more, including how Sola Oyinlola became a ‘technology investor for the bottom billion’ in Purpose & Impact: How Executives Are Creating Meaningful Second Careers, recently released by Routledge.